Professional, efficient, and organized, Alison prides herself in her ability to focus her clients on needed information, and gives feedback to help her clients make sound decisions. Conscious of your finances, Alison gives honest opinions about the options available. She strives to find solutions tailored to her clients and is often able to suggest fresh, workable ideas. Family Law has held Alison's particular interest throughout her career. Alison believes that both the negotiation/mediation model and the litigation model have their place in addressing issues arising from family breakdown, and determines with her clients which tools to use to address their specific needs. 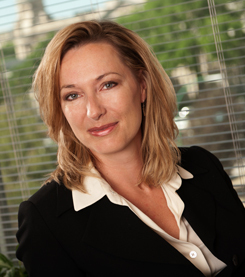 She has represented clients at all levels of court in Manitoba, including the Court of Appeal. Alison is experienced in all aspects of Family Law, including divorce, breakdown of common law unions, Cohabitation Agreements, Pre-Nuptial Agreements, custody and support proceedings, variations, complicated property matters, including business interests, corporate holdings and associated income determinations, adoptions, guardianship, and child protection matters. Alison grew up on a family operated farm in a small agricultural community south west of Winnipeg. She attributes her work ethic, and interest in business management to the strong modelling of her family. Upon graduation, she moved to Winnipeg to pursue studies at the University of Manitoba. In 1992 she obtained her Bachelor of Arts, majoring in Psychology, and completed pre-commerce course requirements. Alison proceeded to obtain her Bachelor of Laws from the University of Manitoba in 1995, earning 2 years on the Dean's Honor List for academic achievement. She was called to the Manitoba Bar in 1996. In 2000, after gaining experience with other firms, she joined Corne & Corne. In 2007, she and her husband Grenville Waugh, became partners in the successor firm, later named Bennet Waugh Corne. Alison maintains an interest in learning and professional development; she is a regular participant in seminars offered through the Law Society of Manitoba, and has received further training in negotiation practices, and collaborative law. Alison has in past years enjoyed presenting to various groups on substantive and procedural aspects of family law, in conjunction with Community Legal Education Association, The Law Society of Manitoba, and at the University of Winnipeg, Legal Systems and Alternative Dispute Resolution Class. Active on a community level, Alison has enjoyed varied volunteer positions, including as manager, and as treasurer for her sons' hockey teams over many years. She was the convenor and organizer of the Riverview Annual Minor Hockey tournament for 4 years. The decision to turn over the responsibility came with the birth of their 4th child in 2009; finally a girl.